About two months ago my brother decided to switch from Verizon to Sprint as his mobile carrier. He asked me what phone he should get on Sprint. He wanted a stock device because he had a bad experience with a skinned Android device (he was coming from a Droid Eris). 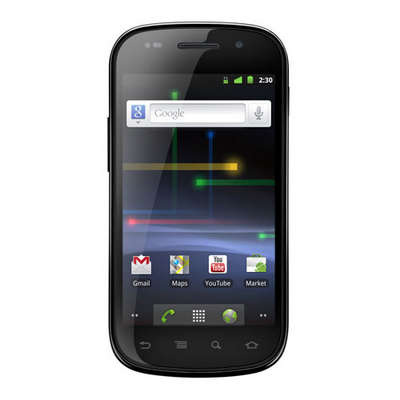 I told him that there would probably be a new Nexus device out soon, but if he wanted to get a good device now, the best device would be the Nexus S.
Now that the Galaxy Nexus has been announced, I still feel confident with my recommendation. Why? He has a device that will still receive updates. Despite being almost a year old (from its original release, not the Sprint release), the Nexus S is still a great device. Google has largely followed the same pattern as Apple in their halo device releases: one device per year. Unlike Apple, however, every Nexus device has been a major update in both software and hardware (though the Nexus S may eventually look like an exception if hardware/software innovation continues at its current rate). Despite the Nexus One being left behind in updates, buyers can be confident that when they purchase a Nexus device, they will have a top of the line device for quite a while. Despite this pattern, Android manufacturers have continued to release dozens of handsets a year, many of which are hardly different from the last device. 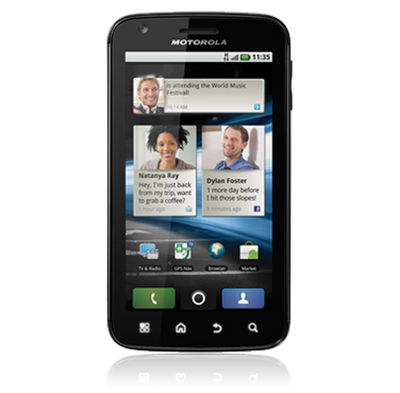 Motorola released the Atrix 2 on AT&T a mere 8 months after the original Atrix was released. The DROID Bionic was released just last month, yet Motorola is already releasing a much better device, the DROID RAZR, next month. Samsung released the DROID Charge in May of this year, but this month has released the Stratosphere – essentially the exact same phone, but with a keyboard. HTC released the Sensation in May of this year and this month has released the Amaze 4G, which is a slightly improved Sensation XE. On top of that, HTC released the Rhyme, which is even more gender oriented than the DROID line of phones, limiting its market appeal. The same can be said for tablets made by manufacturers. 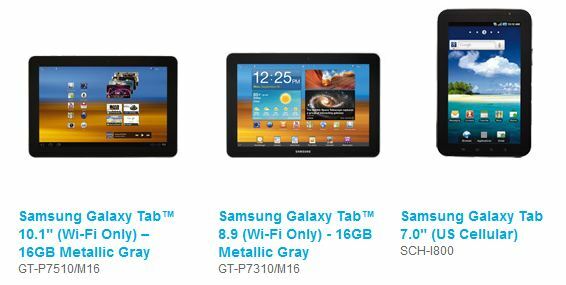 Samsung, Motorola, HTC, and Sony all offer (or will soon be offering) multiple tablet options. Samsung offers the Galaxy Tab in 7, 8.9, and 10.1 inch sizes, Motorola offers the Xoom and the Xoom Family Edition (and soon the Media Edition), HTC offers the Flyer and the Jetstream, and Sony offers the Tablet S and soon the Tablet P. In general, all of these editions of different tablets offer the same operating system on slightly differing hardware (the Tablet P being the one notable exception). I don’t think that there is a problem with hardware differentiation. In fact, I think that’s part of what makes Android great. If you want a phone that is thin and light or with a horizontal keyboard or a vertical keyboard or a gamepad, you have options (still no vertical slider keyboard though…). If you want a tablet that is a light and good for reading or note taking, you have the Galaxy Tab 7 or the Flyer. If you want a tablet that docks into a keyboard you have the Transformer (has anyone mentioned how gorgeous the Transformer Prime looks?). That said, I think there is some value to Google’s approach of making one halo device per year. I think the ideal would be for manufacturers to release one device per year, but one per quarter is probably more realistic. Instead of releasing several dozen devices per year that are essentially small iterations on older devices, manufacturers could release only a few devices on every carrier. This would make things easier for journalists that cover Android news, but more importantly, it would help establish brands and names that consumers would better be able to identify with. I’m guessing that most people who purchased a DROID Bionic are at least a little upset that Motorola is releasing a better device only two months later on the same carrier. Wouldn’t it have made more sense to just cancel the Bionic (a device that many had given up on) or save the RAZR name comeback for another device? The Thunderbolt and the upcoming Rezound are essentially the same story, but HTC didn’t delay the Thunderbolt (which was essentially the HTC Evo on Verizon). By slowing their releases to four times a year and releasing the same device on every carrier, manufacturers would create a direct relationship with consumers instead of via carriers. Rather than releasing the same device with slightly bumped specifications, manufacturers could release varying form factors to better differentiate. With limited releases, manufacturers would be more encouraged to make each device the best it can be instead of pushing out a poor device only to anger early adopters with a better device a short time later. Handset differentiation can be a tremendously powerful tool for Google and manufacturers to create devices that meet people’s needs without making them regret not waiting for a better device to be released a few months later. Constant hardware iterations help make Android powerful, but too many differentiations make the platform look confusing and chaotic, especially when they’re from the same manufacturer. There is power in differentiation, but there is also power in simplicity.